I hope these excerpts from Kathleen's book will rouse and inspire you to purchase a copy, sit by a cozy winter fire, or cool summer air conditioner, and embrace the pioneering spirit of Owens Valley. 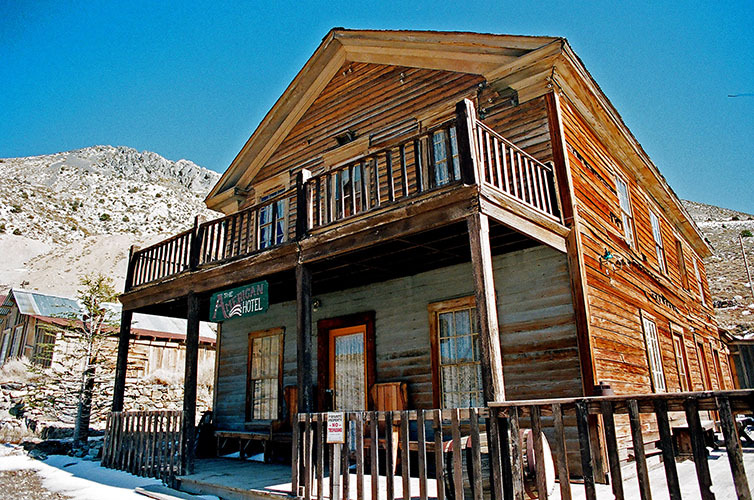 Letters written in 1878 by a young woman new to the West, and found in an old trunk in the twenty-first century, reveal the daily life of a bygone era in the towns along the Eastern Sierra of California. Revealed are the early pioneers who settled this part of the state, the early ranchers, women both good and "bad', and miners who brought forth gold and silver from the mines of Cerro Gordo, Mammoth, Lundy, Aurora and Bodie. The letters describe the people, places and natural beauty of the area before it became today's recreational paradise, before its water was sent down the California aqueduct to Los Angeles, and before the long asphalt ribbon of Highway 395 cut through it. 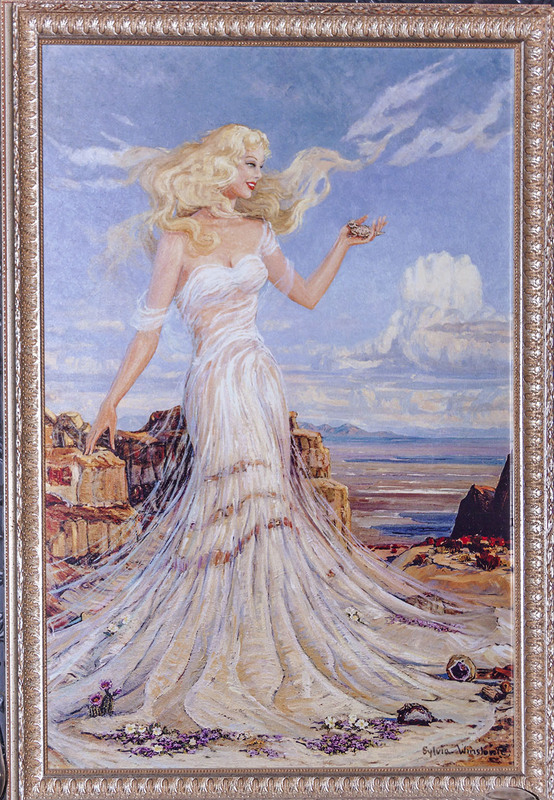 Kathleen Haun lives in the foothills of the Eastern Sierra in Lone Pine, California. She writes about the area's early history, which has contributed to its enduring pioneer spirit that can be experienced even when visiting today. Instructions from the stage driver. Red pulled on heavy leather gloves that fanned wide at the top much like gauntlets, stitched on the cuff with fancy Indian beadwork. A dark blue "neckerchief " around his throat with the fall of fabric to the front was often over his nose and mouth to keep out the dust. A jacket of soft yellow leather with short fringe along the under length of the sleeves and dark blue pants tucked into tall black boots gave him the look of a gallant Western figure out of a Bret Harte story, and a commander nor to be ignored. ''All right ladies and gents, listen carefully. This stage goes all the way to Aurora, Nevada where you'll change to another. Some of the way'll be steep, and if I ask you to get out and walk, do it without complaining. "Ladies, no matter what happens, don't scream. It scares the horses and irritates the hell out of me! "If it gets down to freezing, don't drink liquor. Your outer regions will just freeze quicker. "Don't complain about the food or accommodations at any of the stops. It's the best they have and at least you won't starve. There's nothing I can do about it anyway. Eat fast, don't linger over the wash basin, or out back. "No strong pipes or cigars are allowed inside the coach. And remember to spit on the leeward side. "Don't lop over your fellow passengers when sleeping and try not to snore too loud. "Have small change available for miscellaneous expenses and don't ask to borrow from the others. "Don't shoot or yell or throw stuff out the window. If you spook the horses, everyone will pay the price and I'll throw you off first chance I get. "If the team ever runs away, sit still and hang on. Don't jump or you're sure to get hurt worse. However, today that changes. Mr. Meysan has asked me to help at his general merchandise store. It was the first building to rise up out of the rubble of the quake, built this rime of wood brought here by the well known freighter Remi Nadeau. Mr. Meysan is a very dignified middle aged gentleman, born in Bordeax, France. Of average height and a little portly, he is waging a losing battle with the top of his head and attempts to comb over the last vestiges of hair to cover the obvious. But his chin and upper lip more than make up for this in a display of luxuriant growth. His eyes are deep set and always alert, bur certainly not without humor or kindness. He came to this area during the Gold Rush by way of the Argentine with his brothers, one of whom chose to stay there. He and Madeleine decided to make this place their home, and he has been very successful. At one time he also had a score up in Cerro Gordo and one at Panamint. It is a very nice store of its type, well organized and supplied with more necessities than one would think it could hold upon approach to it. 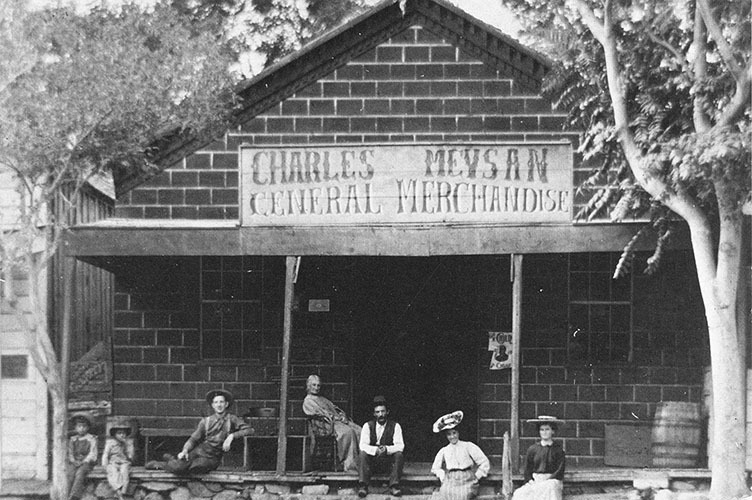 The double doors off the roofed porch invite entrance beneath a large sign declaring "Charles Meysan General Merchandise." The step up from the street to the porch is a long split tree trunk, flat side up and shaded by two nice trees. The sign, the step and the American flag to the left of the door are the only things left of the original adobe score destroyed in the earthquake, a portion of which still exists behind the store. Inside, the walls are covered with dry goods stacked neatly on shelves clear to the ceiling. A small area has hats, boots and other men's clothing; women's items are on the other side of the score by the yardage and lace, and close to the candy jars. Here women shop while keeping an eye on their children inevitably standing before the big glass jars promising sweet delight, hoping their mothers will notice and give them a penny to spend. Even Mrs. K and I cannot resist his clear rock candy. Along with food, one shelf has a huge assortment of drugs, powders, salves, and jars. Dark wood counters follow the walls across the back and part way forward on either side of the room, a few sections being fronted with glass to house dry goods easily soiled. The floor space is limited due to the many sacks and crates, some of which contain locally grown produce like potatoes from the George's Creek area. Along with these are the standard barrels of flour, corn meal, dried beans, brown or white sugar, and too many other goods to list. It is usually sold before it turns, but to keep weevils out of the stored barrels of wheat, Mr. Meysan distributes a layer of salt over the grain and then ties cloth over the top. Sometimes he has crates of live chickens, turkeys or even a pig brought in from a local resident in hopes of a quick sale. Suspended above the counters are more items, including farm equipment, horse blankets, harnesses, snowshoes, loops of rope, and lanterns. But my favorite part of the store is the glass case of ladies pocket watches, hair combs, brooches and lockets. A shelf behind the counter with wooden doors that are often locked is one of the most interesting paces in the shop. Meysan, in his kindness and generosity, occasionally allows someone to pawn a cherished possession in exchange for much needed coin. The items there now range through jewelry, fire arms, wedding silver, hair combs, a silver looking glass, and even a pair of snakeskin boots. The local Indians, who seem always strapped for coin, often take advantage of this service. But I was surprised to learn that if they need their beaded ornament or harness for a special ceremony or for courting, they simply request and receive their property back. And they never fail to return it promptly. Wooden chairs circle the corner stove. Winter or summer, one can find there several men talking, reading or smoking, most chewing on plugs of tobacco and making vigorous use of the spittoons. I hope it is never my job to empty these, although it is my job to black the stove. Mostly, I will be filling in for his daughters Blanche and Marie when they are busy elsewhere. Cerro Gordo - with Owens Lake glimmering in the background. This mood of euphoria was dispelled quickly when they began to discuss the '72 earthquake. The memory of it remains strong for chose who stay on here, even though it has been six years and the town has rebuilt itself well, Mr. Meysan's store being the first one completed. But everyone lost someone dear to them, either family or friend--the line between almost indiscernible. The devastation started a little before two-thirty in the morning on March 26, on a clear crisp night with the moon just past the full. Those who were spending the night high in the Sierra said they heard the mountains cry out with low groans, as though in agony and protest. Then the shaking began. Those who were not pinned beneath rubble from the first jarring shake rushed outside and were witness to an avalanche of stone cascading down the eastern face of the Sierra. So bright was the red flow of rock chat many thought they were witnessing a volcanic eruption, but it was just stone-on­stone collisions throwing off flaming trails of sparks. Here in Lone Pine, the earthquake destruction happened quickly. The awesome quaking power of nature held court for almost three minutes, and the number of life-altering events during that period of time was incredible. Being adobe, most of the buildings in the town collapsed, the walls of the drug store so completely crumbled that its wooden roof ended up flat upon the ground; the Owens River was diverted by many yards when it shifted laterally fifteen to thirty feet along its course; some creeks disappeared underground while the earth below Diaz pond, created by a slow seep, opened up to become a lake; water from underground springs burst through the floor of cabins; and the Owens Lake bed near Swansea rose up with a roar of noise, creating a tidal wave chat drew the water back from the raised shore into a perpendicular wall of water on the far west side before it crashed down. Later, the slag and rock pier at Fish Springs near Swansea had to be extended 200 feet to meet the newly created shoreline. The whole nature of the valley changed in those three minutes, shifting by several feet the land to the east of town toward the north and that on the west of town southward. Elevations along the foothills were altered from four to twelve feet and many large fissures opened up, including a twelve-mile long crack in the earth. 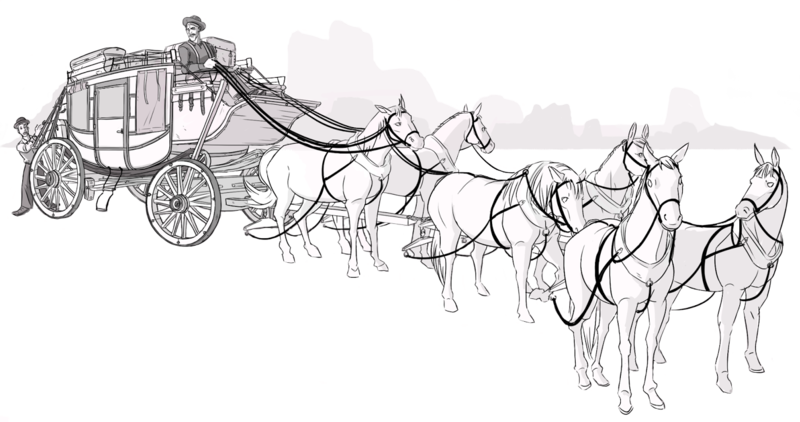 On the surrounding ranches, several oxen died for no apparent reason, while others were unfazed. 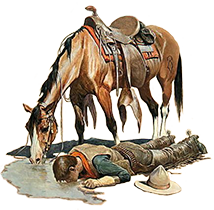 Elsewhere, a horse fell over backwards into a crack in the earth before the dirt fell in on him, the poor owner finding only four legs sticking straight up in the air. Attorney Pat Reddy's office in Independence had all its books on the north side thrown to the floor while those on the south side were undisturbed. And all this destruction created billowing clouds of dust that hovered over the valley for two days. Independence was hard hit also, their adobe-lined buildings cracking or falling apart. Although Camp Independence sustained considerable damage, Commandant Harry Egbert sent soldiers out to the towns to lend assistance. Dr. White, the Post medic, did what he could to lend aid to the injured while Mrs. Kennedy worked to assist him, as did many of the women. Miners from Cerro Gordo, where incredibly no damage occurred, came the day after with a collection of $800 and lumber to help the people rebuild. Those miners with families here were especially eager to get down into town. People tied rags over their faces to keep out the choking dust and simply did what they could. Those that were physically capable moved rock and timber to reach those that were buried beneath, alive or dead. Women hauled water from Lone Pine Creek, found anything they could to make bandages for the wounded, picked through rubble for food they could prepare to keep the rescuers going, calmed children, and held the grieving in their arms. 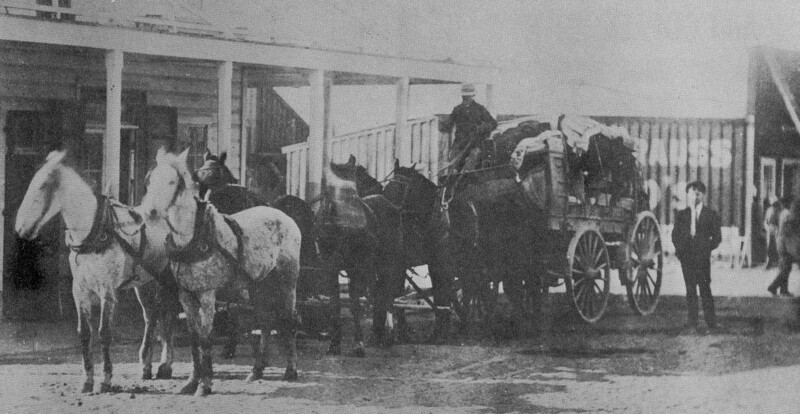 Sixty people died or were seriously injured, many crushed beneath falling adobe walls. Those who survived and were left to grieve for those who did not, were often those who had changed their habits for some reason and were sleeping away from walls or beams that fell, or they were buried beneath a loved one who took the full brunt of the falling debris. All the time they were trying to dig out, the ground beneath surprised them often with yet another violent shake, making it difficult to stand for any length of time. The Fort Independence camp recorder noted 200 tremors between the major quake and five o'clock the next afternoon. The April 6 edition of the Inyo Independent reported that the length of time between the shocks had finally increased and were now twelve to twenty hours apart. Many could not afford a plot in the cemetery for their loved ones, and some who died had no one to claim their remains. Still others felt it right to honor all the dead together in their common fate, so twenty-two of the twenty-seven dead were buried in a communal grave near the road northwest of town, on a little rise created by the quake. The rest were buried in their own grave just east of the others. Mr. and Mrs. Meysan were not spared. Their eleven year old daughter Alice died that morning too. As fate would have it, Mr. Meysan and Alice had just returned home from an aborted trip to have her eyes treated. Deciding she was too homesick to finish the trip, Mr. Meysan brought her back. It was the week before the quake. They buried her in the area of the communal grave. Collapsed building in Lone Pine from the 1872 earthquake. So much has happened in Lone Pine and Independence that Mrs. Kennedy had not included in her letters to me. I came home to find many changes having taken place in the area, even a new town forming just south of Swansea at the foot of the Inyos below Cerro Gordo. It is called Hawley. 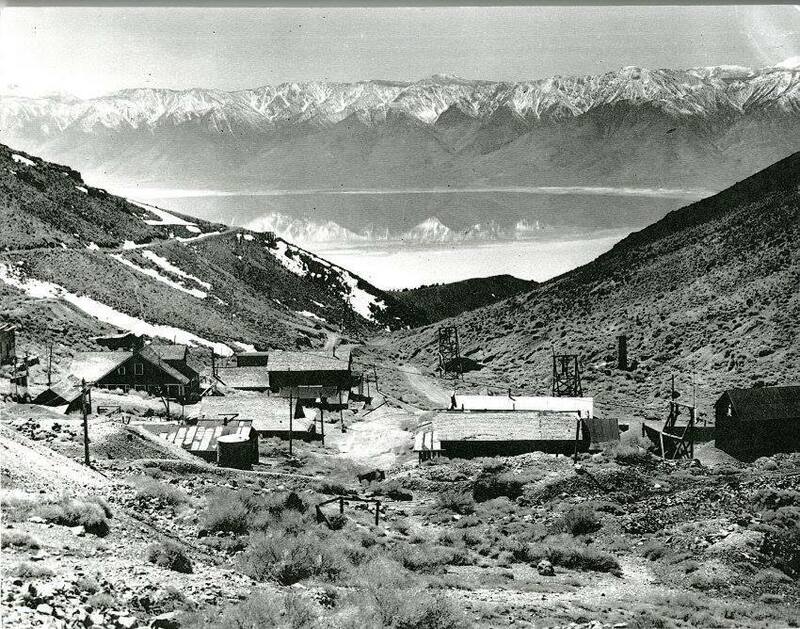 The Owens Lake Mining and Milling Company purchased Col. Stevens' old lumber company for the construction materials it could provide in the building of the town. They restored the old flume, repaired the adobe beehive charcoal kilns, started up the sawmill, and are building a mill to process the remaining ore to be brought down the hill from Cerro Gordo. 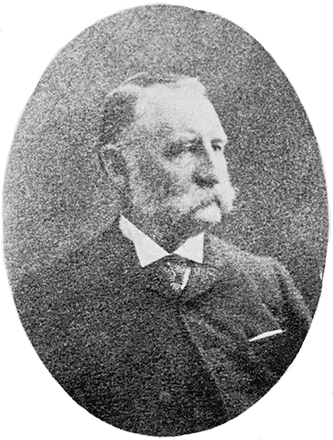 The town of Hawley is the responsibility of Mr. Julius Keeler, the man who has been at the heart of its development. He was pointed out to me the other day as I walked through the plaza past the stables while taking some fresh air, so I introduced myself. He is a distinguished gentleman of mid years, thinning hair parted on the side, a full white mustache and side whiskers that almost entirely hide his mouth. He looks robust and sturdy, with kind intelligent eyes and a deep authoritative voice. We spoke briefly of general things in the area and of his new town. The post arrived and a letter from Frank with it, in far more detail than any of the others. He tells me that the day after I left Bodie the town became lively with campaigning for the upcoming presidential election. Frank writes, "We now know that our twentieth President is James A. Garfield. Bodie gave him 640 votes (compared with 553 for Hancock). If the Federal 1880 Census for Bodie is correct, that there are 5,375 people living here, it seems a very poor turnout of voters. I always thought the claims of 10,000 people had to be a considerable over-statement, even considering the criminal element that would avoid being counted." Frank also relates that the bitter cold month was not wet enough to stop a large fire on the hill. "With the shrill whistles of the Mono, Bodie and Lent mines blasting, the fire companies made haste up the hill. The fire devoured the Goodshaw Hoisting Works and filled the sky with the most terrifying sight possible for our dry town. Four miners working at the 600-foot level died in the fire. Much of November has seen the temperature dip 18 degrees below zero on the Bodie flats, and I am doubly glad I made you return to Lone Pine. Of course, this weather is causing a rush for wood once more and we are paying $2.00 per cord, for now." I very much missed not sharing Thanksgiving with Frank, but Mrs. K and I shared supper with the Carringtons at their home. They would not hear of our bringing anything other than our appetite. Her pie crust being so much better than my own, I nevertheless complemented it only once for fear that if l did so twice, she would offer to teach me the fine art of proper pie making. I am not in shape for that right now. Frank says Bodie citizens hold to high hopes for the future, since the aggregate value of what will be taken from the mines this year is expected to top that of last year. Best news of all, Vince continues to hold his own. Of course, knowing Bodie as we do, overnight all the bad news can change to good. And all the good news to bad. This Valley is the product not merely of mines, pastures of grazing cattle, fields of wheat and alfalfa, gardens of furrowed rows, or orchards of ripe fruit, but of optimistic dreams, belonging and community. It is families with hopes and plans; a church full of grateful people singing praises; a school with desks in neat rows and a warm stove at the front, the room full of eager children tapping chalk on their slates as they learn new things; it is the jubilant celebration of holidays with friends sharing food and memories; it is neighbor helping neighbor through trying times, and sometimes standing together in the cemetery, or more happily gathered for a wedding or christening. So let the mines close down, let these harvests pass into a memory, slaughter the last steer, dam the river's flow, it matters not. Somehow we will still be here, building a town with whatever is at hand and establishing a place where our children’s children can thrive. 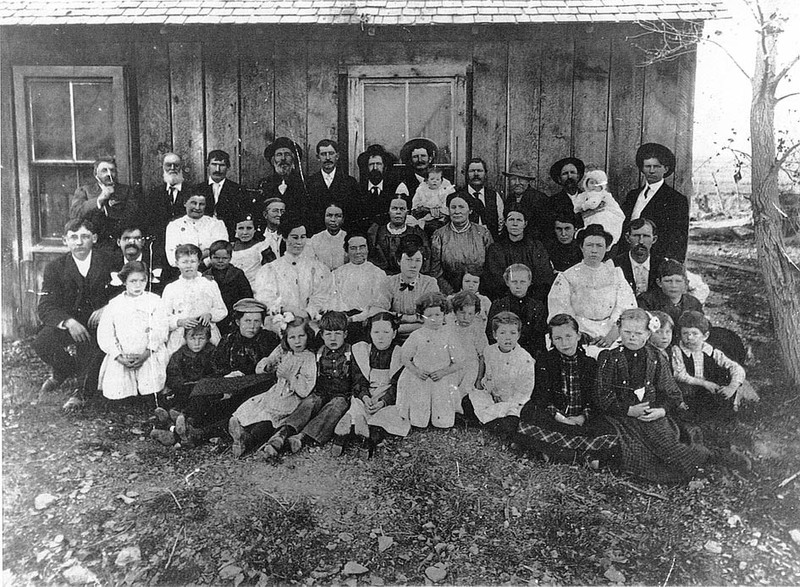 The Van Fleet family on Thanksgiving Day 1907 in Laws, CA. "To my dear friend Emily Eastman I leave the boarding house and all its furniture and contents not given to friends as mentioned previously in this Will. I leave this to you as 'sole trader'. Mr. Rose assures me this is quite legal. I want you to have the security that a sometimes fickle life can take away. You have been the adult daughter I should have had, and having you in my life has cushioned a sense of loss that I carried until you showed up on my porch one blessed spring day. "Emily, Frank, take care of one another. And if you will, someday tell little Whitney about Aunty Ann and let her know that she was the last great delight of my life." Only slightly aware of the voices around me expressing congratulations, pleasure and surprise, I was stunned into silence, not least of which was due to her loving words. With all that had happened over the last couple of months, I had not even begun to think about a home of our own after Whitney's birth. However, as the reality of the bequest settled in, I looked around me with a far different feeling of security than before. Nancy came to stand beside me, putting her arm around my shoulders with a tremulous smile. "It's all yours, Emily." "I wonder how it will feel to be the lady of the house." She chuckled gently. "My dear, you always have been!" I looked at her in amazement. ''Ann once told me that when she opened the door to you in the spring of '78, she felt she was welcoming someone who had finally come home." "I had no idea she felt that way! So you're not surprised she left it to me.?" She colored slightly. "Not at all." Then quickly changing the subject, she asked, "Where's Mr. Rose?" "He went out to his buggy to get something." At that moment he re-entered the dining room carrying a large box. Putting it in front of me, he put his hat on and stood back. "Mrs. Kennedy said you should be given this after everything else had been done. She left no note or words in the Will, saying it would speak for itself." "Would you care to be alone?" Mrs. Carrington asked. I took her hand. "No. Please stay, Nancy." After Mr. Rose departed, I lifted the lid. Pulling aside the top folds of a white sheet, revealed beneath were bright colors of fabric. Together Nancy and I pulled out the story quilt Mrs. K had worked on most of her life. Only now, the last six blocks were there and the whole mounted on a pale yellow cloth. The first of the new ones had the pink applique silhouette of two women shaking hands in front of a ridge of blue mountains remarkably similar to the Mt. Whitney skyline. The second was a black applique silhouette of a man and woman holding hands within the ring of a golden wedding band with a red ruby on top. The third was a tan baby cradle with a little pink arm and hand sticking straight up, fingers spread wide in greeting. Whitney's birth date was beneath in tiny pink cross stitches. Sewn with far less precision than the rest, it must have been the last stitching she ever did. The fourth was a large brown cross in the common outline stitch, with the name Ann B. Kennedy sewn in gold thread on the horizontal piece of the cross. Little French knot pink, yellow and lavender flowers were scattered around its base. The area for the date was of course blank, left for me to fill in now. The fifth had the outline of a partially unrolled gold scroll with the tiny word "Deed" back-stitched at the top. The inked signatures of the three people who had witnessed the Will were lined across the bottom--Charles Meysan, Abe Carrington, and Julius M. Keeler. The sixth and last square had three red hearts, two large ones overlapping, and a small one beneath entwined in the other two by a swag of green leaves. In the upper left corner was the Lone Pine tree embroidered in tiny stitches of green and brown. In the upper right corner was the tiny pink silhouette of an angel with the blue embroidered initials beneath ''ABK." We stood there taking in the detail of each block, speechless in our admiration of its beauty, and its incredibly special meanings. "Oh Emily, this is wonderful!" Nancy whispered. "She described to me the block with the baby's hand and the one with three hearts, right after she heard you were expecting Whitney. But I had no idea she'd finished the whole thing. Did you?" "No." I swallowed with difficulty. ''I'd forgotten all about it and just assumed it was still packed away." "Will you put it on your bed?" I thought for a moment. "No. I don't want anything to ever happen to it. It will hang on the wall over our bed." Frank came in just then. ''Aren't you going to join us?" He came nearer. "What's that?" Nancy and I each took an upper corner, and Frank took hold of the bottom, spreading it out between us. Millicent came in, and she too studied each of the blocks, but when she came to the last ones at the bottom, she gasped and fled into the kitchen with a hand over her mouth. Nancy whispered, "I think I'll join her." Dropping her corner, she rushed after Millicent. Shortly we heard them splashing water from the pump, followed by choked embarrassed laughter. "I think we should share this with the others," Frank finally said. And so we did, everyone impressed with the simple yet profound honesty and beauty such an expression of love implies. The women dabbed at their eyes while the men cleared their throats manfully, but we all agreed with Madeleine Meysan when she said, "It's just like her to do something like this. She'll be so missed." 1883 The State passed a moratorium on the shooting of bighorn sheep, and hopefully they will slowly regain their numbers. With the train now hauling freight into and out of the Valley, the freighter that is thought by most to have saved the life of the Cerro Gordo mines, Remi Nadeau, sold his wagons in Tombstone, Arizona. He moved to Los Angeles, where he built a four-story hotel and now enjoys life in a town that owes much of its prosperity to his years of effort. By mid-winter all but six of the largest mines in Bodie were closed, the population down to only 2,500. 1890 Early in this year Dolomite, a very fine type of marble, was found at the base of the Inyos just five miles north of Keeler. They removed it in huge blocks several tons in weight. Experts declared it so pure and white that it now rivals the finest Carrera marble. Right after that, not far away, they also found a small vein of beautiful black marble. 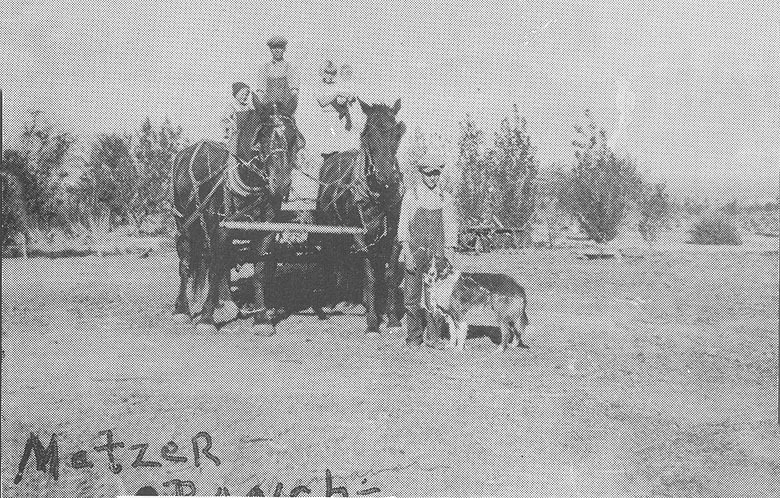 Finally in this year Mr. W K. Miller established his stage line between Keeler and the town of Mojave. It leaves every other day at noon and arrives 24 hours later, stopping only to change horses (or when a passenger requests a comfort stop). But the passengers must carry their own food and water! Of course, the worst part is from Keeler to Olancha, taking all of six hours of rough riding; then three hours to Haiwee (as they now spell it) and on to the town of Mojave. In all, they have to change horses eight times! Several years before I arrived here, a few large canals were dug to bring Owens River water onto farming land for irrigation. Now there are over a dozen large canals and ditches, making up a network of about 250 miles. Almost all of the total average flow comes in from the Owens River to water about 14,000 acres of cultivated cropland, managed by "ditch committees" comprised of land owners. Most of the crops are alfalfa, but there are also large fields of wheat, corn, barley, oats and potatoes. It all makes for a very lush landscape. Around Christmas, friends visiting from the north informed us that Almond Huntoon had committed suicide in September. Elizabeth spent time with friends in Bodie after that. By this year Bodie had less than 450 people. It may be interesting to note that California’s population in 1850 was just a little over 92,000. The 1890 census showed it to be over 1.2 million. 1894 Snow melt from the last few heavy Sierra winters has caused Mono Lake to rise about 25 feet; however, our Owens Lake continues to recede, with the western shore now about 200 feet from its old resting place. With the main flow of Owens River being diverted to the fields for irrigation and scant rain in the area, it is not surprising. The cafe no longer serves duck from the lake, as their soda flavor is too strong. 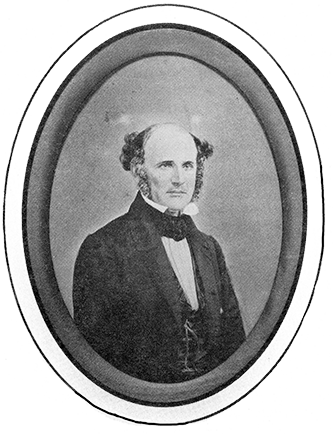 Elizabeth Butler-Kernohan-Huntoon added another hyphen to her name when she married Jesse McGath. I suppose she is now living in his fancy house on Green Street in Bodie. She should write a woman's guide to surviving life's slings and arrows! (from a Spanish word for little apples) have increased steadily. They are quite lovely, and very productive. Through these years I wrote many times of the decline of the mines, the sinking prices of silver, and the fact that the arrival of the railroad in Keeler in ‘83 did not help the economy of the area as much as we had hoped. It still takes longer to get crops to market than most products can tolerate, and the freighting costs are very high. Carson & Colorado Railroad, CA.